Society is on the decline and media is playing a major role in this. Brahma Kumari Shivani, said while addressing eminent media persons and intellectuals from diverse fields during a program. While expressing her opinion about the role of media, she said, "It has the power to create the destiny of society. Media meant information and information is food for the mind or mental diet. Mental diet is the first factor to change mental health. She said that the quality of information determines the quality of thoughts. The kind of information we read determines our perception". Shivani further said, "Positive information leads information thus determines the perception of society. Media is a power because it creates thought process and perception. It has the power to create the destiny of society. Society is on the decline and media is playing a major role in this." She said that an experiment of three months was required to change our mental diet and this entailed not listening in the morning to the information Newspaper and TV channels were giving as they were 'Tamsik heavy energy food' implying negative news. 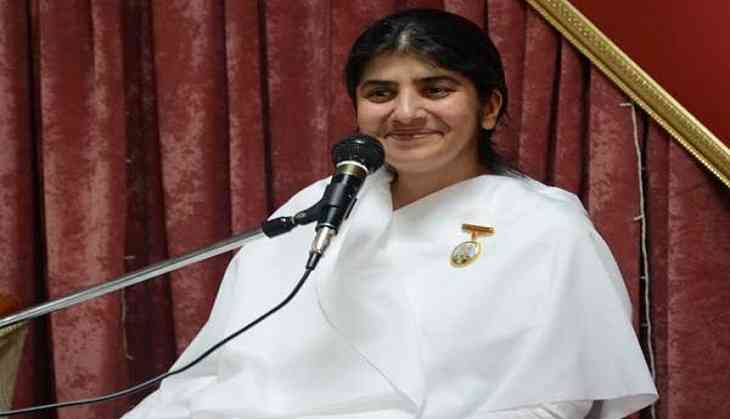 Shivani was speaking in a Holistic Wellness Retreat Program for Media persons and Families organised by Brahma Kumaris on June 11 at Brahma Kumaris Om Shanti Retreat Centre here. The event was attended by eminent media persons and intellectuals from diverse fields. BK Shivani began her address by asking the audience about the meaning of the world wellness and does wellness is situated around us or inside us? She said that outside is not under control and if inside is dependent on outside, then inside is not in one control. In past few years, outside has started to fluctuate more. We did not do anything to make inside stable as it became more dependent on the outside. The mind thus starts to become fatigued. Sign of a fatigued mind is visible when mind is not stable and even small things start to trouble the mind. This situation requires a healing of the mind. BK Asha, Director Om Shanti Retreat Centre, in her welcome address remarked that she viewed those present not as media persons but as human beings.She explained as to why the campus is called Om Shanti Retreat. Retreat enables us to step back, see the inside beautiful world that we live.Everyone has their own world, and there is so much inherent beauty and power in it reflected in work or profession. The retreat was organised for the family. She said that those present had come to a Prabhusthali (a spiritual abode). BK Brijmohan, Additional Secretary General, Brahma Kumaris, welcomed those present at the program and said that humans are much beyond are professional identity. The retreat centre tells us about the meaning of the term 'being' in human being. Spiritual wellness is the common denominator. Psychiatrist Dr Avdhesh Sharma and Dr Mohit Gupta, Professor of Cardiology, GB Hospital and Maulana Azad Medical College New Delhi, spoke about mental and physical wellness and how these were related to inner wellness. The event was followed by a visit to the Art Gallery and the campus of the retreat centre.